GILBERT — The basketball court is where Conner Hill acts like the big fish. The track is where he, well, feels like a fish out of water. At least right now, but give it a few weeks and his perspective may change. The truth is this though: He belongs. 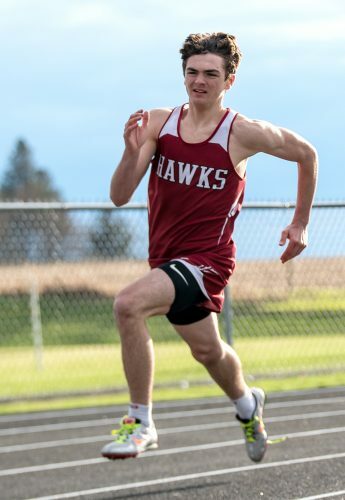 Hill, a senior and first-team all-state baller who is running track for the first time since the seventh grade, fit nicely into South Hamilton’s stuffed stable of middle-distance standouts at Tuesday’s Lindsey Ellingson Coed at Gilbert High School, as he walked away with three relay gold medals. 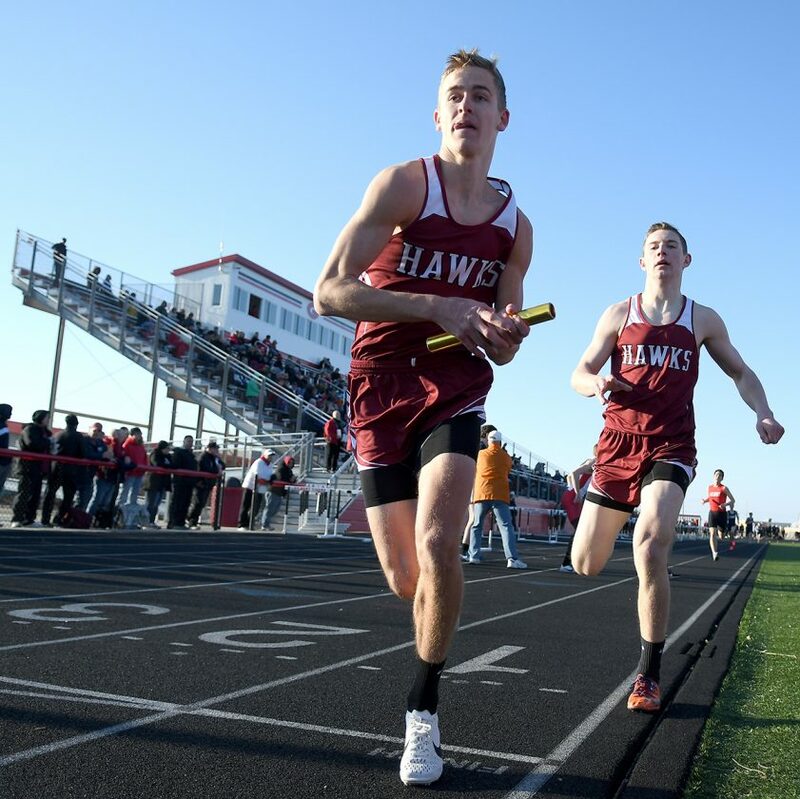 His 2:03 split on the second leg of the 4×800-meter relay was tops among a Hawks’ quartet that buried the field by 32 seconds, and it would have been good enough to challenge teammate and open 800 champion Logan Peters had Hill not scratched out of the individual race. 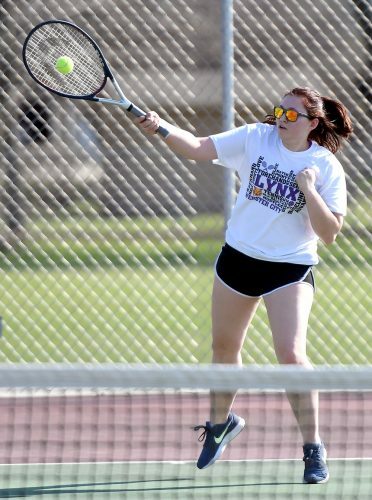 Peters, a five-time state medalist and the reigning state champion at 1,600 meters and bronze medalist in the 800, is the team’s alpha dog, much like Hill is on the basketball floor. Could their friendly rivalry spill over onto the track? 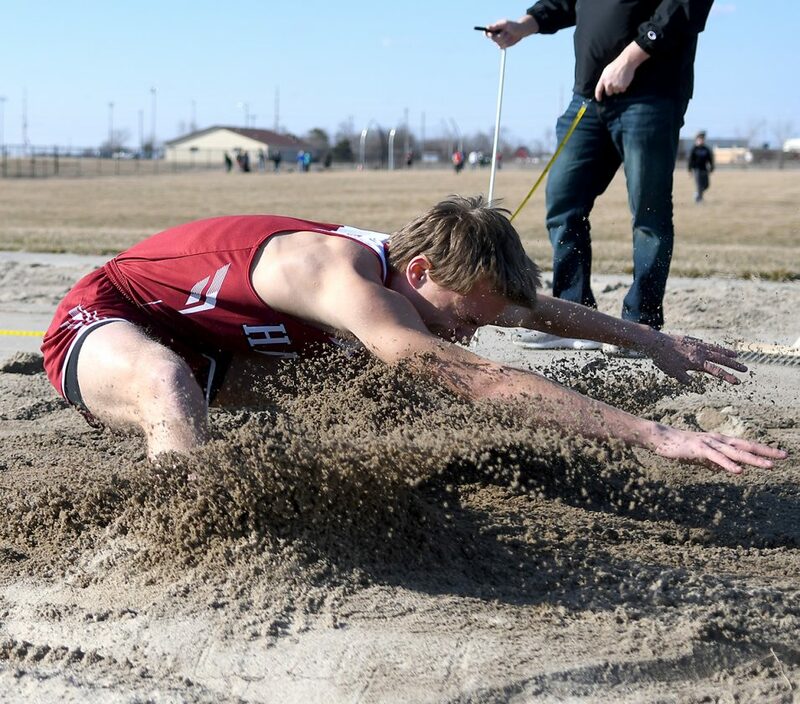 South Hamilton piled up five event wins and 12 medals against a field of seven other teams. The Hawks accrued 1191⁄2 points to place fourth behind Roland-Story (1721⁄2), Des Moines Christian (146) and Gilbert (129). Nine Hawks claimed multiple individual and relay medals. Brandyn Feighner’s four topped the group, while Peters — the school record holder at 800, 1,600 and 3,200 meters — and Freddie Lewis combined for six medals, five of them gold. Lewis was a part of the runaway 4×800 win in 8:30.14, as were Quinton Grove and Cole Berg. Lewis, Hill, Berg and Peters teamed up to shred the field in the 4×400 (3:36.44). Lewis and Zakee Newman joined Peters as individual winners. Lewis toured the oval in 54.51 seconds to claim the 400 gold, while Newman (4:50.95) edged out Grove (4:53.96) to win the 1,600. Feighner earned the bronze in the long jump (19 feet, 4 inches), was on the runner-up distance medley relay (3:59.30) alongside Brock Galetich, Sam Lewis and Newman, and added third-place finishes on the 4×100 (48.07) and shuttle hurdle (1:10.03) relays. 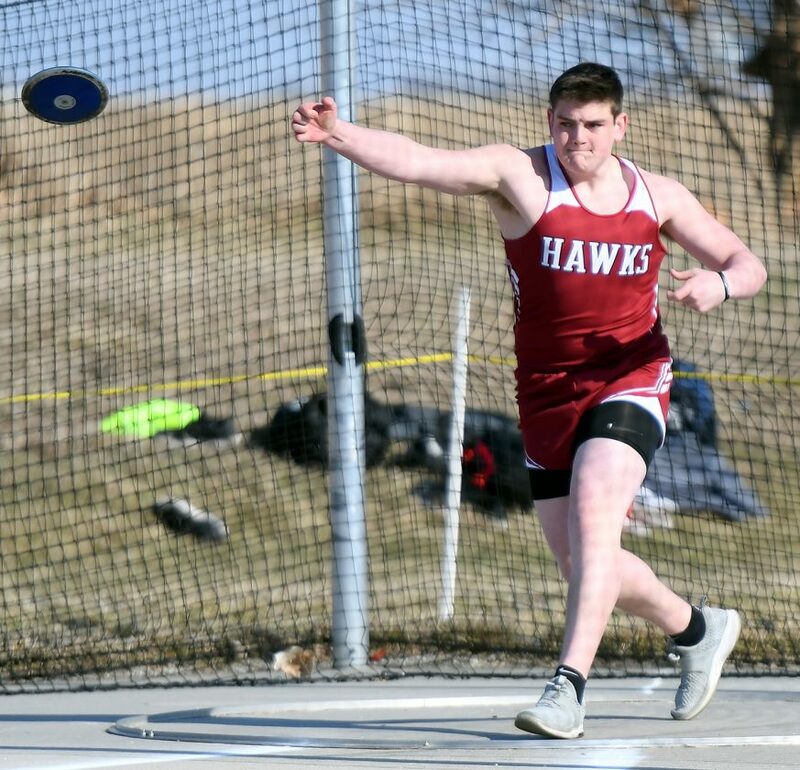 Cade Flaugh provided the Hawks with eight team points courtesy of his second-place throw of 118-1 in the discus. 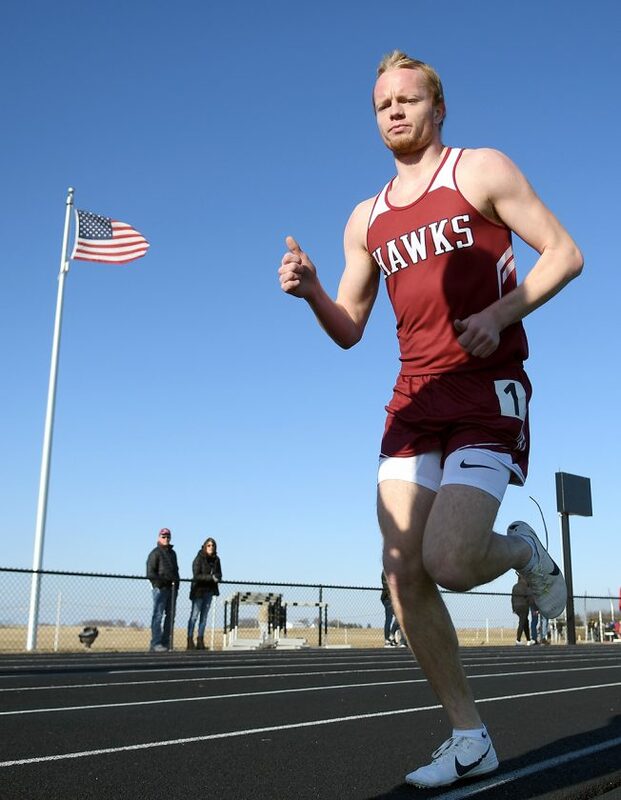 Peters opened his meet with a third-place finish in the 3,200 (10:39.76), nearly 40 seconds off his school-record time set at the same meet a season ago, but Paulsen says it’s only a matter of time before his senior leader rounds into shape. 1. Roland-Story 1721⁄2; 2. Des Moines Christian 146; 3. Gilbert 129; 4. South Hamilton 1191⁄2; 5. Saydel 57; 6. Perry 541⁄2; 7. Ballard 441⁄2. Discus — 2. Cade Flaugh 118-1; 7. Trevor Thompson 105-1. Shot Put — 6. Thompson 38-71⁄4; 7. 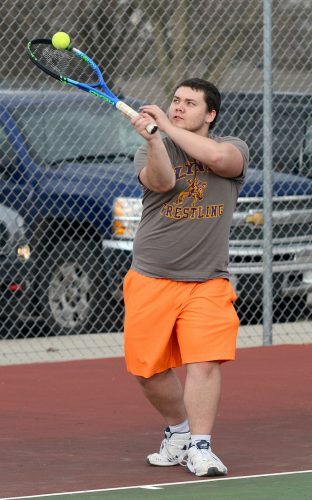 Austin Busch 38-21⁄4. Long Jump — 3. Brandyn Feighner 19-4. High Jump — 7. Carter Hewitt 5-4; 9. Nic Flaugh 5-2. 100 Meters — 9. Cade Murphy 12.54. 200 Meters — 9. Brock Galetich 25.17; 10. Sam Lewis 25.46. 400 Meters — 1. Freddie Lewis 54.51; 8. Ty Skartvedt 58.73. 800 Meters — 1. Logan Peters 2:03.03. 1,600 Meters — 1. Zakee Newman 4:50.95; 2. Quinton Grove 4:53.96. 3,200 Meters — 3. Peters 10:39.76; 11. Clay Willadsen 12:30.11. 110 Hight Hurdles — 8. Tanner Blue 18.44. 400 Low Hurdles — 6. Blue 1:05.82; 7. Kaelen Miller 1:08.48. 4×100 Relay — 3. South Hamilton 48.07 (Galetich, S. Lewis, Ethan Young, Feighner). 4×200 Relay — 5. South Hamilton 1:46.58 (Evan Winkler, Elijah Balderas, Preston Stoecker, Young). 4×400 Relay — 1. 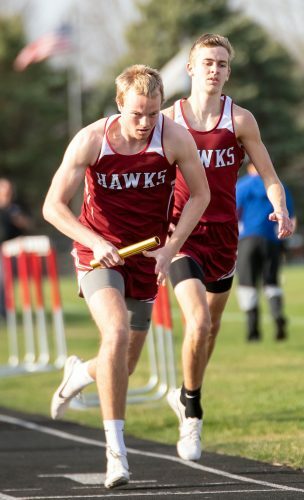 South Hamilton 3:36.44 (F. Lewis, Conner Hill, Cole Berg, Peters). 4×800 Relay — 1. South Hamilton 8:30.14 (Grove, Hill, Berg, F. Lewis). Shuttle Hurdle Relay — 3. South Hamilton 1:10.03 (Lane Swenson, Stoecker, Blue, Feighner). Sprint Medley Relay — 7. South Hamilton 1:53.51 (Murphy, Busch, Skartvedt, Balderas). Distance Medley Relay — 2. South Hamilton 3:59.30 (Galetich, S. Lewis, Feighner, Newman).